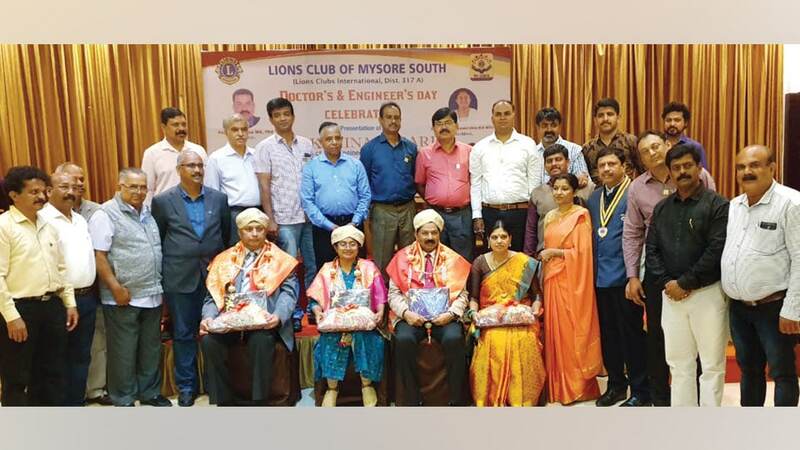 Dr. N. Ramesh and Architect Parvathy Ramakrishna were conferred with ‘Dakshina Kesari Award’ for 2018-2019 by Lions Club of Mysore South as part of Doctors and Engineers Day celebrations recently. 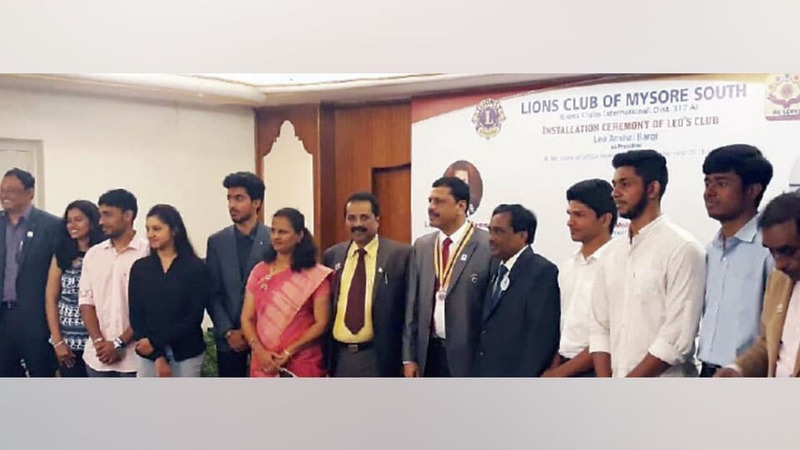 Seen are (sitting from left) awardees Dr. Ramesh and Parvathy Ramakrishna, chief guest UoM Registrar Prof. N. Rajanna and P.R. Sujatha; (standing) L.R.G. 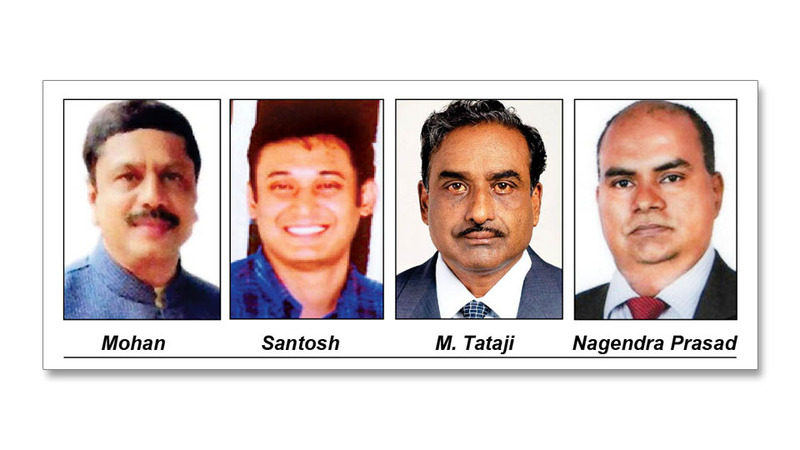 Shankar, Ln….